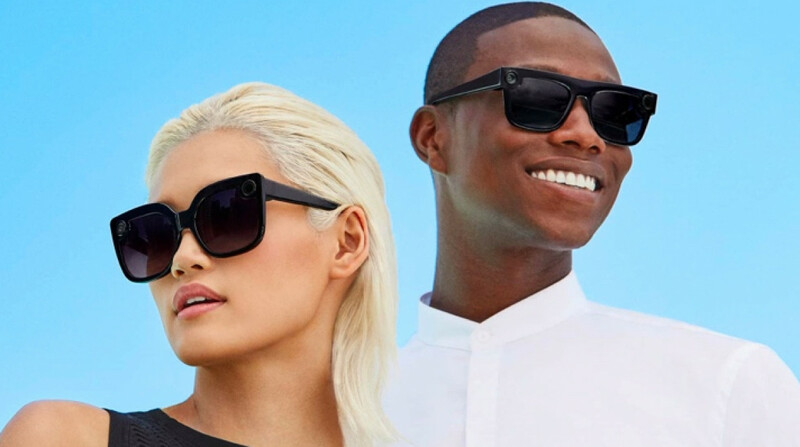 Snap has added two new frame options for its Spectacles 2 if you like the idea of shooting video and stills but weren't a fan of the original design. The new frames, called Nico and Veronica, ditch the circular-shaped tinted lenses of the original Snap Specs 2 and now feature polarised lenses. They're still water resistant, built to survive pool parties and hanging out at the beach with that LED ring and camera tucked into the top of the frames. That camera can still shoot 1,216 x 1,216 resolution video at 60fps and 1,642 x 1,642 pixel resolution stills. There's a dual microphone array to capture audio, 4GB of storage to make room for 150 videos or 3,000 photos and both have a battery life that should be good for recording 70 videos from a full charge before it needs powering up. It should also benefit from the recent software update that rolled out enabling Snap Specs owners to share videos and photos captured with the smartglasses more easily on other apps. The update unlocked the ability to customise how those snaps are exported to your phone's camera roll or third-party services and apps. Snap has yet to talk about how its second gen Specs have sold, but these new frames could help them perform a lot better than the first version. The original Snap Spectacles weren't quite a hit for the company and it subsequently had to write off almost $40 million in unsold inventory last year. Back in July, it was also revealed that Mark Randall, Snap Inc's vice president of hardware and lead on Spectacles had left the company. Randall joined Snap in 2016 to head up the Spectacles project. The new Snap Spectacles 2 Nico and Veronica frames are available now alongside the original frame Specs 2 from the company's website for $199. They'll also be available in Neiman Marcus and Nordstrom stores in the US and will be heading to select retailers in Europe too. Apparently there's a limited amount right now, with plans to add more in the fall if you miss out this time. Like the look of the new Snap Specs 2 frames? Are you still using the Specs you've already bought? Let us know in the comments section below.